Due to recent attacks, as well as the usual thefts in stores, industrial buildings, commercial premises… has increased the consultation on these products. 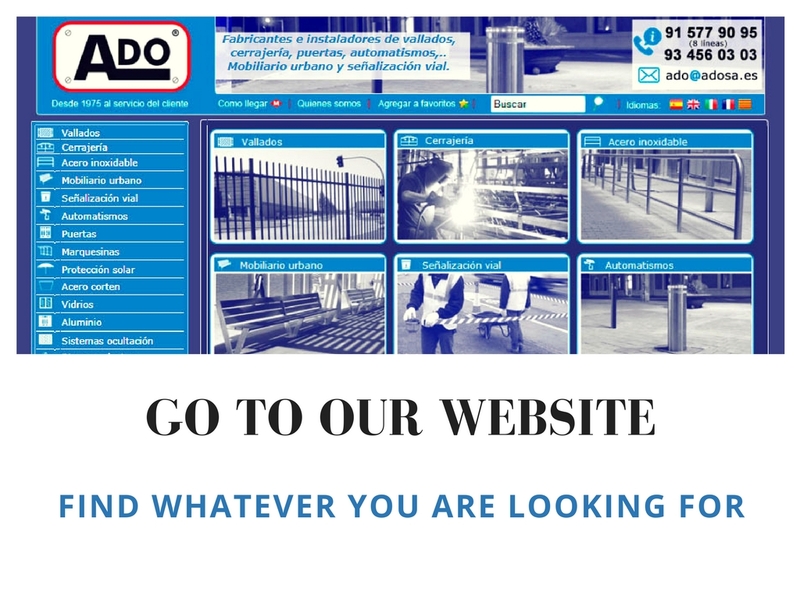 Ado, as one of the few manufacturers specializing in these products with its own production and not importing products from Asian markets of inferior quality, has a wide range of pillars and anti-moon safety customizable planters for the needs of each client. Flower planters made of galvanized steel plate lacquered with oxiron varnish, installed to decorate a square in Masnou. Inferior part designed with legs, especially made to be easily lifted with a forklift or a pallet truck. Installation of an outdoor convex mirror and a flower planter, Recei model. The mirror can be installed on a pole or directly on the wall by means of a support. The flower planter Recei is manufactured with a lacquered iron or steel corten sheet, in a rectangular shape. Ideal for outdoor use in pedestrian areas, parks and gardens.